What is the link between Mesothelioma and Asbestos Exposure? Asbestos use was widespread for decades and millions of people were exposed to it at work or secondhand. Some have developed serious disease as a result of their exposure. Often, companies knew about the dangers, but did not adequately warn or protect people from exposure. 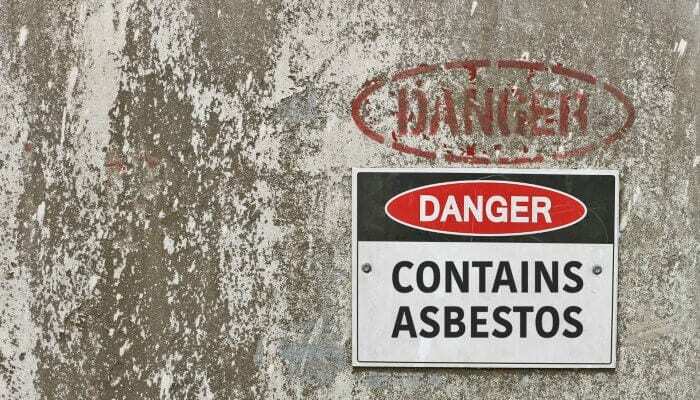 If you or a loved one suffered injury or death from an asbestos related illness, such as asbestosis or mesothelioma, you should talk to an asbestos lawyer without delay. An asbestosis or mesothelioma lawyer can help you through the legal process to recover the compensation you deserve. “Asbestos” refers to a family of naturally occurring minerals that can be separated into thin, tiny, flexible threads. These fibers are soft but highly durable, resistant to heat and chemicals, and don’t conduct electricity. As a result, asbestos was commonly used for many years as an insulating material in many commercial and industrial settings and products. Unfortunately, it is also highly toxic. Though this was known as early as the 1950s, it continued to be used without proper warning or safety precautions and millions have been exposed. Asbestos fibers trapped inside the lungs can result in inflammation and eventual scarring of the lung tissue. When it becomes severe, it can interfere with proper lung function, leading to coughing, shortness of breath, and disability. The amount of time between inhalation and diagnosis of asbestosis can be as long as 25 to 40 years. There is no cure and it can get progressively worse even after the exposure to asbestos is long stopped. Asbestos has been classified as a known human carcinogen (a substance that causes cancer). There is evidence that asbestos exposure is linked to increased risk of cancers of the lung, throat, ovary, stomach, and bowel. Who’s at risk for an asbestos-related disease? People who become ill from asbestos usually were exposed to it on a regular basis, most often on the job, where they worked directly with the material, or through substantial environmental contact (such as near mines or shipping facilities). However, there is evidence that family members of workers heavily exposed to asbestos face a second-hand increased risk, as a result of exposure to asbestos fibers brought into the home on the shoes, clothing, skin, and hair of workers. What jobs and workplaces are potential locations for asbestos exposure? Remember though, that, in some years, the second most common occupation among those dying of Mesothelioma and Asbestos Exposure has been “homemaker/housewife”. This reminds us that families of workers are also extremely vulnerable to inadvertent asbestos exposure. What about asbestos exposure in Illinois? Over the years, the state of Illinois has had a wide range of industries in which asbestos was used. These have included manufacturing, power generation, petroleum processing, and a lot of facilities that received shipments of asbestos contaminated materials from other states. Many buildings throughout Illinois had asbestos used in their construction. Illinois has ranked in the top 10 states for asbestos related diseases resulting in fatalities. What kinds of companies might be legally responsible for my asbestos injury? How can I get compensation for asbestos-related disease and injury? A personal injury claim — compensation is sought from responsible parties for the personal suffering and pain associated with the illness, which can occur from direct or secondhand exposure. Damages can also be sought for medical expenses, lost wages (including future income), travel expenses for treatment, etc. A wrongful death claim — the goal of this type of claim is to compensate the survivors and beneficiaries for their loss after a loved one’s asbestos related death. Damages can be sought for medical bills, funeral expenses, lost income, counseling related to the death, legal advice, personal costs, other illness related services, and, in the case of spouses, for the loss of emotional support and comfort from the death of their spouse. Asbestos Bankruptcy Trust Funds — over the years, a number of companies that manufactured, distributed, sold, or used asbestos products and materials have either gone out of business, merged with other companies, or gone bankrupt, often directly related to the liability from their use of asbestos. Even though such companies no longer exist, it may still be possible to receive compensation from “asbestos trusts” that they were required to establish. There are over 60 such trusts with over $30 billion in funds that can be dispersed to those who meet the established criteria for compensation from the fund. Compensation for Veterans — retired military (especially those who served in the Navy, Merchant Marine, Coast Guard, and U.S. Army transport service) make up one of largest populations of people who were exposed to asbestos. As a result, the VA has designated Mesothelioma and Asbestos Exposure as one of several diseases that qualify for disability benefits. Of course, availability of benefits is dependent on meeting certain criteria. Workers’ Compensation — this is tricky in Illinois, since most disease doesn’t show up for a long time after exposure. Under Illinois law, there are restrictions and limitations on claims against employers outside of the workers compensation process, and there are also strict time limitations on when these claims can be made. Under rare circumstances, workers’ compensation can be obtained. And, the restrictions apply only to the employer. Legal claims against all other parties, such as manufacturers, suppliers, etc. are permitted. It’s important to know that most legal claims related to asbestos never go to court. Over 90% are rapidly settled before ever going to trial. This can save you from a stressful and costly process and a result in more rapid compensation. How much can I recover for my asbestos claim? Of course, every claim is different and no result can be guaranteed. Each case has to be evaluated individually and the amounts of damages will depend on a wide variety of factors. Suffice it to say that asbestos-related disease is often devastating and so the compensation can be substantial. These cases can be complicated and costly. However, most attorneys will accept the case based on a contingency fee. Payment of fees is contingent on the outcome of the case. This means you pay no legal fees unless compensation is recovered in your case. My initial consultation for these cases is always free. You can see that these cases can be complicated and the issues complex. A lot depends on the evaluation of your situation and the facts of your case. I’ll meet with you and carefully listen so that I can understand your concerns and what happened to you or your loved one. I’ll work to have your claim evaluated and clearly explain the options and answer any questions you might have. I can help get the information we need to consider all your options and make the right choices for your case. If you are in the Decatur, IL or Bloomington, IL or anywhere in Central Illinois, and you feel you might need an attorney because you or a loved one have a claim related to Mesothelioma and Asbestos Exposure, please contact me for more information.